Playing along with the Little Scraps of Heaven challenge this week which was a card sketch. I actually took the sketch and converted it to a 9×9 page that I’m going to add to my daughter’s small book. You can read about the details of the challenge HERE. 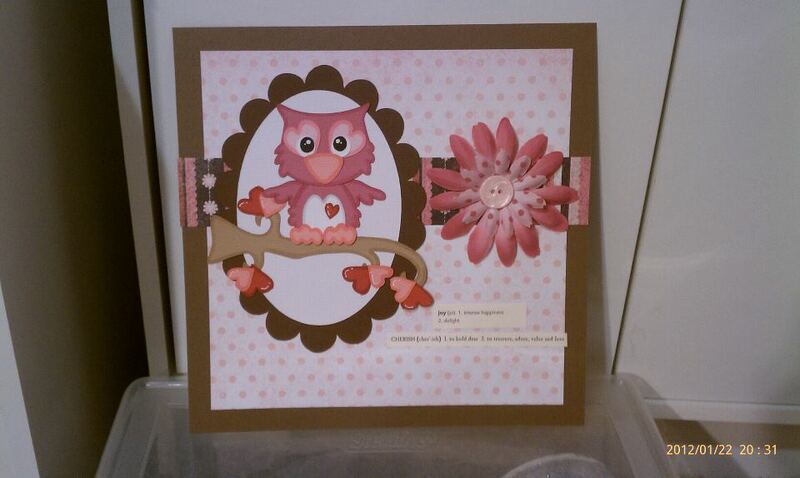 I used the Hoo Loves You file from Little Scraps of Heaven. I will post close-ups of the sentiments tomorrow.